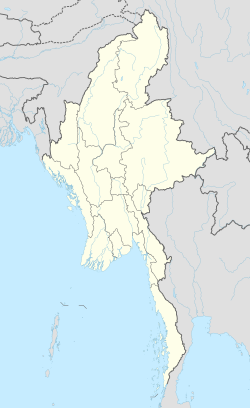 Mandalay District (Burmese: မန္တလေး ခရိုင်) is a district of the Mandalay Division in central Myanmar. Though the district used to consist of two cities, Mandalay and Amarapura, today, with the urban sprawl of Mandalay capturing Amarapura and Patheingyi, the district and the city of Mandalay are one and the same. Mandalay District consists of the following townships. This page was last edited on 21 September 2017, at 05:12 (UTC).